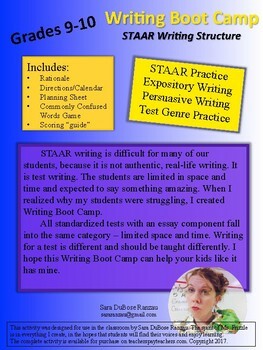 STAAR writing is difficult for many of our students, because it is not authentic, real-life writing. It is test writing. The students are limited in space and time and expected to say something amazing. 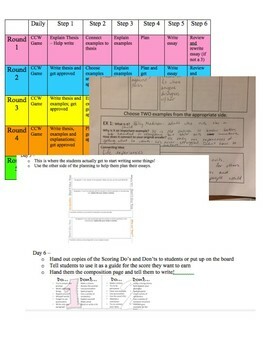 When I realized why my students were struggling, I created Writing Boot Camp. All standardized tests with an essay component fall into the same category – limited space and time. Writing for a test is different and should be taught differently. I hope this Writing Boot Camp can help your kids like it has mine.